Ex-Military President, Gen. Ibrahim Badamasi Babangida (retd.) has disowned a statement signed and distributed by his media aide, Mr. Kassim Afegbua. In the widely-circulated statement, Afegbua quoted IBB as advising President Muhammadu Buhari not to stand for re-election in 2019. 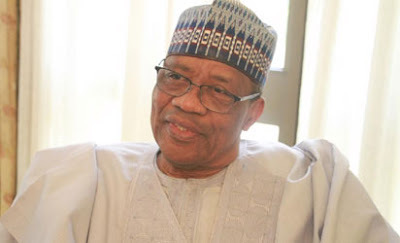 However, the new statement, signed by IBB, noted that he (IBB) had unfettered access to Buhari and that where necessary, he would speak to the President in camera instead of resorting to open letter as alleged. Distinguished Members of the Fourth estate of the realm. It has been drawnd to my attention a press statement on the State of the nation, particularly 2019 general elections and beyond. Let me categorically state that as former President and Statesman, I have unfettered channel of communication with the highest authorities without sensational public correspondence, therefore those views expressed over there are personal views of the writer. However, with due respect to individual opinion and constitutional rights, it is worrisome that Political events and civil unrest in many part of the country, has raised many questions on the governance and unity. Indeed 2018 is inundated with seasons of literatures on the corporate existence of this country. Many of such literatures have shown concerns of the corporate existence of Nigeria beyond 2019 general elections. It will be recalled, that in my message to this year’s Armed Forces Remembrance Day, I specifically expressed the dire need for proactive measures to stop farmers/herders clashes in the middle belt, Cattle rustling, armed robbery, Kidnapping, gangsterism and Cultism. Our security agencies have to step up surveillance with more efforts on intelligence gathering for maximum success. Recent happenings and utterances by political gladiators is alarming and not in the interest of common man that is already overstretched and apparently living from hand to mouth due to precarious economic conditions. Despite all these challenges, I am optimistic that the political actors will play within the ambits of political norms and decorum to ameliorate the problems facing our society now. I am a realist that believes in all issues in a democratic atmosphere are sincerely discussed and resolved in the spirit of give and take. Since after my military years that metamorphosed to the only Military President in the history of Nigeria and my civilian life, I always have one clear objective that freedom can only be achieved through democracy. Some people find this freedom as an avenue for eroding democracy by antics of hate speeches under the guise of religion, tribal or self imposed mentorship. This trend of pitching political class and the people is unhealthy and skewed. The clamour for re-alignment of governance in the country as we are approaching 2019 election year is a welcome development only if the agitations are genuinely channeled through legislation and total supremacy of the constitution . Any attempt outside this circle of democratic tenants is deceptive and divisive idea capable of plunging our political journey into disarray.